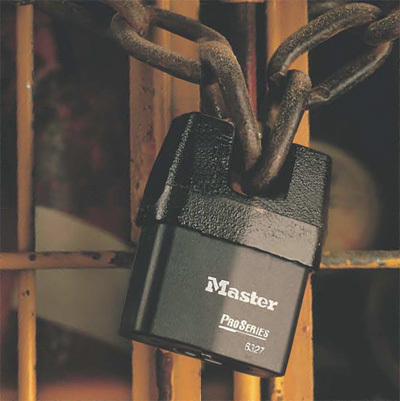 Please note: Addtional keys are not available on this model. 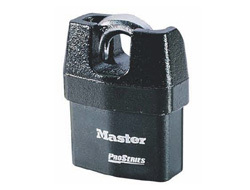 The Pro-Series by 'Master Lock' are designed as an affordable high security padlock using a weatherproof thermoplastic cover and a boron hardened steel shackle, resistant to attacks and extreme temperatures. 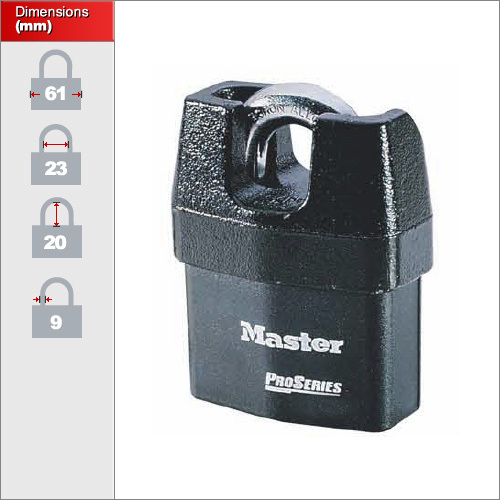 The closed shackle is made from solid hardened steel and makes it extremely difficult for bolt-cutters and saws to attack the shackle.